In this full-day workshop, participants will learn how to adopt and adapt Lean concepts across the service portions of their organization such as quoting, billing, customer service, project management and human resources. Through a variety of hands-on, interactive learning activities, participants will practice creating flow, building in quality at the source, using visual management and coaching so that customers receive what they want, when they want it, right the first time. 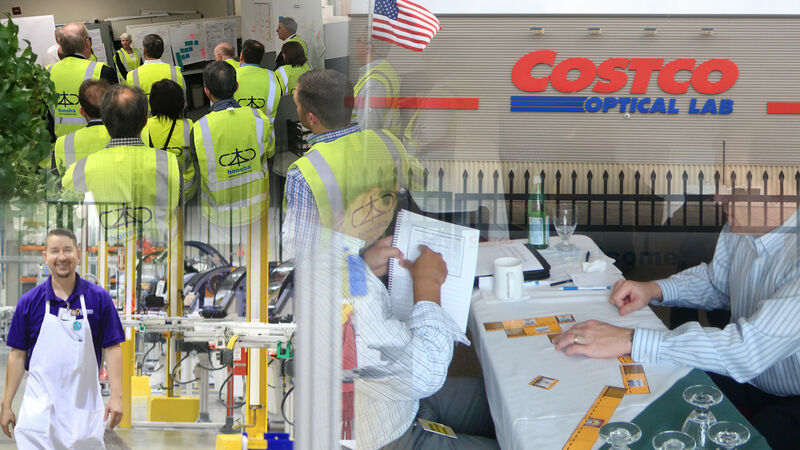 Some of the activities will lead into a better understanding of The Benefits of Lean Beyond Manufacturing - The Elements of Service Excellence, The Challenges of Lean Beyond Manufacturing, Introduction to Circular Value Streams and Flow, Divergent Thinking and Creativity. There will be exercises and hands on simulation on Creating a Vision of Service Excellence, Identifying the Gap Between Target and Actual, Building in Quality at the Source and Coaching Practice Techniques. By the end of the session, each participant will have created a customized plan to begin putting their learning into practice. Participants will receive a practice guide, templates and exercises to use after the workshop in their organization. Karyn is an internationally acclaimed business consultant, coach and lean practitioner, and coauthor of The Toyota Way to Service Excellence. Karyn comes to the world of business and lean from the world of art. A practicing artist, with an MFA in Sculpture, Karyn helps people rediscover their creativity so that they can generate new ideas based on synthesizing learning from previous experiences. 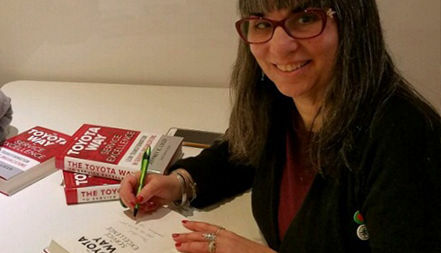 Then she teaches them how to use Toyota Way/lean principles, practices and tools to turn those ideas into the services and products that satisfy clients now and for the future. Focused on service excellence, Karyn works with small, medium and large organizations in sectors as diverse as insurance, financial services, HR, transportation, higher education and manufacturing. A purpose driven consultant, Karyn is passionate both about helping companies create more effective and efficient ways of working so that they - and their customers - flourish, thrive and grow, and about helping people reclaim their innate creativity so that they can solve problems at work, at home, in their communities and in the wider world. Karyn lives in Naperville, Illinois and is the owner of Karyn Ross Consulting. She coaches, consults and facilitates workshops all over the world, both in-person and remotely. How can we improve decision-making processes and improvement prioritization to maximize customer value at the lowest possible total cost across the extended value stream of the organization? The goal of the interactive workshop is to create leadership collaboration and management systems to support best-in-class operating principles that will connect the core processes of the organization to drive improved decision-making capabilities. The one-day workshop is designed to look at how we can improve overall business performance if we take a more holistic “systems wide” view of the business. The concept of Discovering Hidden Profit leverages these powerful statements by providing a methodology to connect people and business processes in order to eliminate waste and discover new profit opportunities. The workshop will articulate a simple roadmap that everyone in the organization can align around to move forward. This roadmap requires people to look at the business from a new perspective, and it requires leaders and managers across the core processes of the business to work collaboratively towards a common set of objectives. This means we need to view the organization holistically and connect and relate the core business processes of Business Strategy, Product Life-Cycle Management, Sales and Marketing, and Supply-Chain Operations. • Customer and Supply Chain-Centric Decisions Deliver Results: All business decisions manifest themselves inside the end-to-end supply chain, therefore, we should proactively take implications to the supply chain into consideration and use supply chain performance as a feedback loop for prioritizing business improvement activities. • The Ten Rights Drive Horizontal Thinking: Creating the extended value stream requires a Ten Rights (Perfect Order) perspective across the organization relative to decision making in order to connect processes. • Operating Principles Create Alignment and Connection: Leadership alignment requires agreement and management focus on relevant and advanced operating principles that will lead the organization to their required future state. Improvement activities require a disciplined management system for focused and sustained business improvement across the extended value stream. Specifically, we will look at how we can be more participative and collaborative with Product Development, Sales and Marketing, and Supply-Chain Operations in order to help the business successfully achieve its goals. We will introduce the concept of extended value stream improvement and look at three main topics: Management Systems, The Ten Rights, and Operating Principles across the end-to-end supply chain. Robert is the CEO of LeanCor, LLC. Robert has over 20 years of lean supply chain implementation, logistics, and organizational transformation experience. He’s worked with companies such as Mitsubishi Caterpillar, General Mills, Kimberly Clark, JC Penney, Starbucks, Nestle, and Toyota Motor Manufacturing, helping them improve inventory visibility and logistics control while achieving process improvement that delivers peak operating performance. 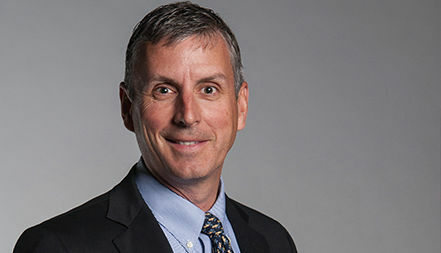 In addition to leading LeanCor, Robert is a senior instructor for the Lean Enterprise Institute and the Georgia Tech Supply Chain and Logistics Institute, as well as a frequent speaker for professional industry events. Robert has authored multiple lean and supply chain books and educational materials, including the Shingo Award winning workbook, Building a Lean Fulfillment Stream and the simple and fun introductory book Everything I Know About Lean I Learned in First Grade. His other books include Success in 60 Seconds, and Lean Six Sigma Logistics. Additionally, Robert has written several dozen articles on the topic of lean supply chain published in trade journals and industry publications.